After three years of contemplating how to get his mountain bike coaching techniques, secrets, and mountain bike skills to every athlete, Mountain Bike Coach Drew Edsall established Mtbfitness.com. Mtbfitness is designed to give every mountain biker and mountain biking coach access to all the mtb skills, techniques, exercise science methodologies, and mountain bike performance boosters such as nutrition, hydration, caffeine, etc he has used exclusively with his one on one mountain bike clients for the past 12 years resulting in multiple State, Regional, National, International and Collegiate Champions. The website is for Cat 1, Cat 2, Cat 3, Junior or Pro mountain bike racers and/or mountain bike coaches. There are areas that every mountain biker and mountain bike coach can learn and improve on. 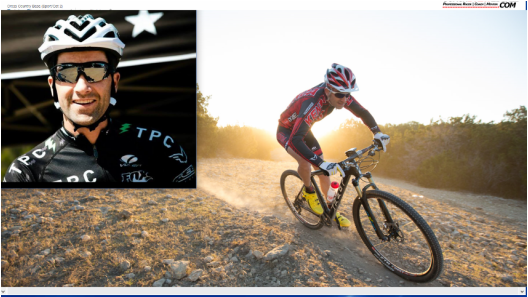 Coach Drew Edsall is both an accomplished professional mountain bike racer and mountain bike coach. Drew has been coaching endurance athletes for over a decade. He uses this unique knowledge to create training and coaching plans for endurance athletes of the highest levels. His athletes include National Champions, Collegiate Champions and State Champions. In 2016 alone, Drew has coached athletes to a Gold Medal in the Pan American Games, a Podium at U23 Nationals in the USA, National Titles in Puerto Rico and Trinidad and Tobago, Overall Triathlon wins both on and Offroad (Xterra), and multiple Regional Titles in the Southeastern Regional Championship Series. Coach Drew specializes in coaching mountain bike racers but also works with a select group of cyclocross, road, and triathlon athletes. He takes each athlete he works with and prepares them mentally and physically for their respective events they are training for. His goal is to get each and every athlete he works with to their highest potential level and working toward the top of the podium both in sport and life. Drew combines his competitive experience as a champion in decathlon, xterra, and mountain biking to help you continually improve and succeed in your discipline. He uses his personal athletic success along with his scientific knowledge in exercise science to bring you the latest and greatest training plans for triathlon, xterra, mountain bike, road, cyclocross, and running. Drew began his endurance career back in 2000 when he became a decathlete at Gettysburg college. In a year, he went from a newbie to Track and Field to Conference Champion in the decathlon. He continued his success in the decathlon by claiming the Centennial Conference win for 2002 and 2003. His drive, dedication,and determination to win can be seen with his success in whatever endeavor he pursues. While competing in the decathlon at Gettysburg College, Drew was also studying the human body and performance. He used a lot of what he learned in the classroom and applied it to the Track and Field on a daily basis. His passion to learn and succeed drove him to a bachelors degree in Exercise Sciences in 2004 from Gettysburg College. After graduating in 2004, he quickly jumped into sprint triathlons taking top 3 overall in the first events he entered in Miami, FL. In addition to triathlon he competed in the road racing scene making his way to a Cat 3 level by his second year racing. In October of 2005 he discovered mountain bike racing in Florida and put 100% effort into that. By June of 2007 he turned Pro on the mountain bike and also won his first and only Xterra in Jacksonville, FL. Eager to see what he could do in the mountain biking world he continued to pursue only mountain biking and since then has won numerous nationwide events including multiple National-Ultra Endurance races(NUE) at the True Grit 100, Syllamos Revenge (2 times), Tatanka 100, multiple Florida State Championship XC races, and has claimed six top five podium mountain bike stage race GC finishes over his five years of stage racing. In 2013 Coach Drew created his own business, Coachdrewedsall.com Llc, and took a break from racing full time. Since then his company has grown over 40% in two years, largely due to client's results throughout the World including multiple State, Regional, National, International and Collegiate Champions. In 2016 Coach Drew created Mtbfitness to bring his one on one coaching to every athlete at a price that every athlete can afford. If you are interested in taking your mountain bike racing to the max, try Mtbfitness.com out. Many of the videos cover topics that can be applied overnight resulting in faster times on the bike, faster recovery, and faster overall progression as early as tomorrow. "Thanks for taking the time out of your schedule to read this over and I hope to see you on Mtbfitness soon!" Want Free Info on Training to get you Faster on the Mtn Bike? Join the Mtbfitness Newsletter and get exactly that!